In 1992 when Los Angeles erupted in violence and riots as a result of facial tension and the Rodney King verdict, the delegates to the General Conference of The United Methodist Church were meeting in Louisville, Kentucky. In an unprecedented step, they stopped their legislative proceedings to discuss cities in turmoil resulting in the creation of Shalom Zones. The Shalom Initiative would provide a channel for the force of faith to heal hurting communities. It would deliver the powerful antidote of hope to communities mired in despair. But perhaps most importantly, Shalom would give churches and communities the ability to reply, responsibly and with integrity, to profound and deep-rooted ills. Through the Shalom Initiative churches could acquire the knowledge and skill they would need to become active in ministry. Each participating congregation would have access to methods and tools that they could apply to their particular circumstances. By spreading Shalom Zones far and wide, the United Methodist Church could work through community partnerships to become indeed “the repairer of the breach, the restorer of streets to live in.” (Isaiah 58:12). Since its inception, the Shalom Initiative has undergone amazing growth. Yet, in its ministry to challenge inequity it has had to evolve. At the outset, the Initiative learned the critical importance of language. “Shalom Zone” did not sensitively articulate the Initiative’s focus, while “Communities of Shalom” suggested more welcoming environments. Also, the Initiative quickly became aware that its use of traditional United Methodist language in Shalom materials was restricting its ability to reach out widely to communities. So that partners from all faith traditions and cultures could feel a strong sense of belonging, Shalom revised its trainings and materials. Early on, leaders of the Initiative came to understand that they could not define “selected neighborhoods.” People and churches became empowered and embraced ownership when the choices were theirs. Individuals and communities defined their own needs far more capably than outsiders, whose perceptions, experiences and commitments were vastly different. The Initiative learned that geographic definition of communities (as urban, rural or suburban) was rarely helpful. Attuned to local circumstance and cultures, the process of building Shalom Communities was being applied everywhere. As it began to ask why some Shalom Communities thrived and some did not it noticed that some Communities constantly wove the goal of “Strengthening Multicultural Relations” through every aspect of their work. Those were the Communities that flourished. Other Communities never became comfortable with this goal. They treated it as an “extra,” and not as the pivot point upon which everything else was intricately dependent. These are generally no longer active or recognized as Shalom communities. The Shalom Initiative continues to evolve. 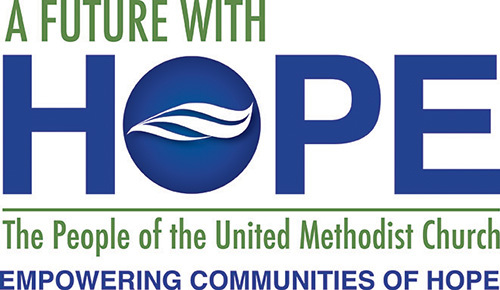 In the United Methodist Church of Greater New Jersey it is emerging as the Communities of Hope as an outgrowth of A Future With Hope’s Sandy recovery work.